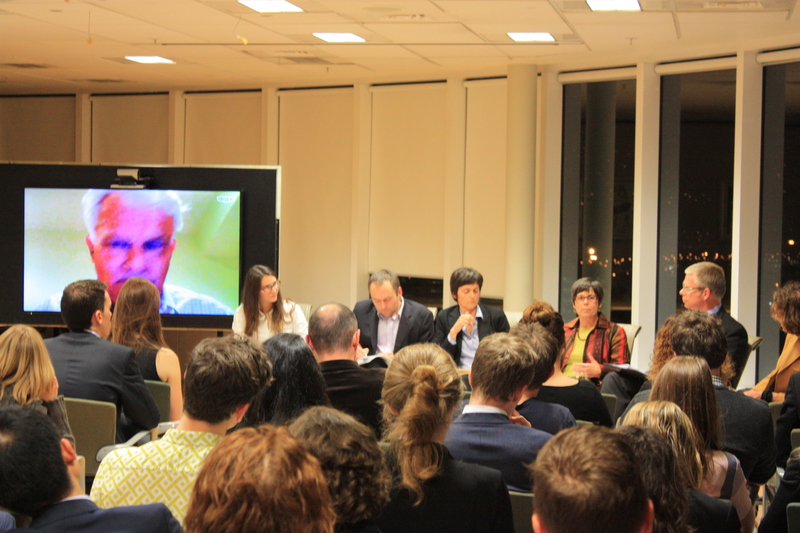 The Wellington Young Lawyers Committee organised a discussion on ‘A rule of law for the unruly world of cyber? 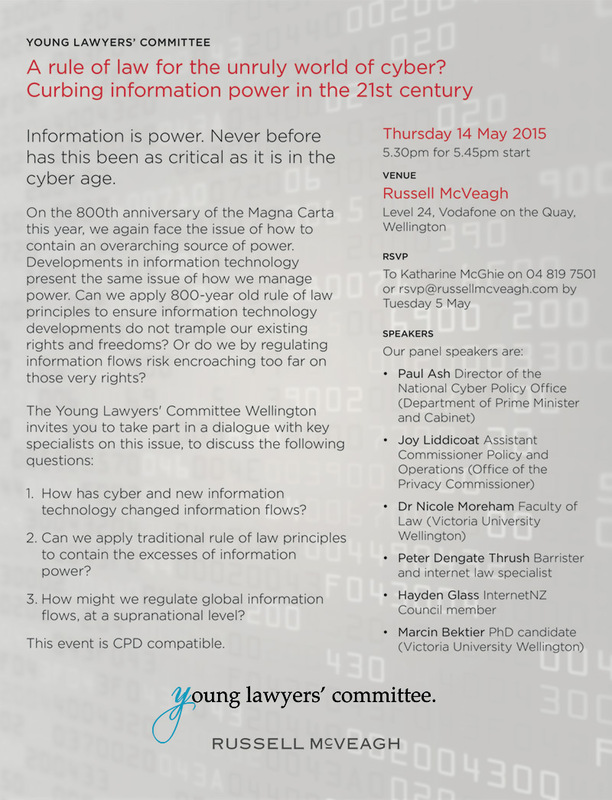 Curbing information power in the 21st century’, which took place on May 14th, 5:30pm, Russell McVeagh, level 24 Vodafone on the Quay, Wellington. You can check out the poster for the event here. 1. How has cyber and new information technology changed information flows? 2. Can we apply traditional rule of law principles to contain the excesses of information power? 3. How might we regulate global information flows, at a supranational level? 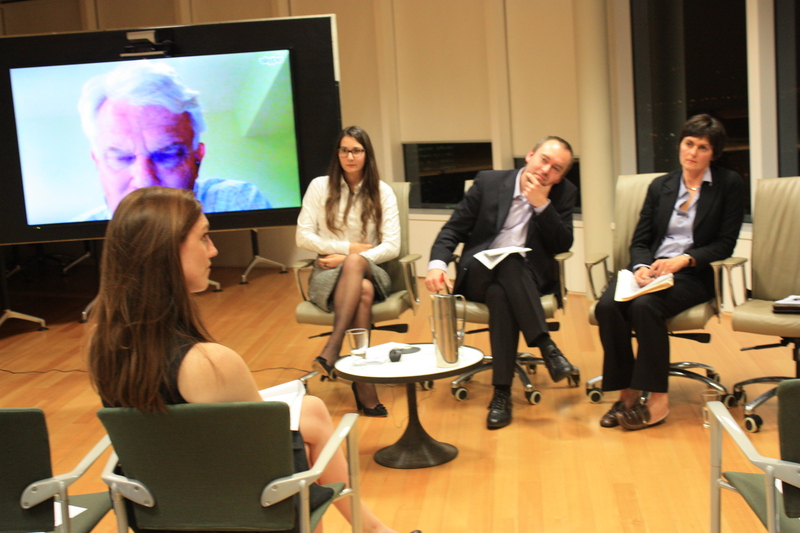 The Young Lawyers’ Committee and Russell McVeagh held a very successful and well attended panel discussion on Information, Power and the Rule of Law on 14 May. 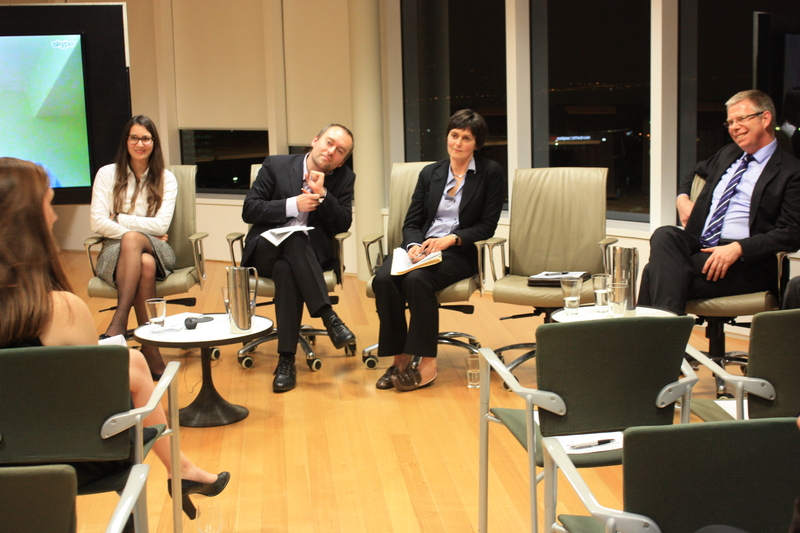 Organised by Jelena Gligorijević (Young Lawyers’ Convenor and solicitor at Russell McVeagh), the event was initially overbooked, with overwhelming levels of interest from junior and senior lawyers, policy makers, and many from the media and telecommunications sectors, from Wellington and beyond. 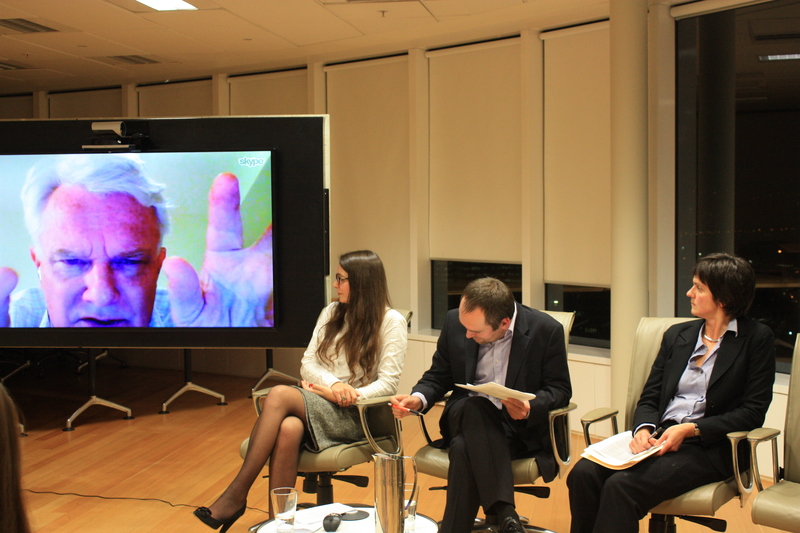 The panellists included Paul Ash (Director National Cyber Policy Office), Joy Liddicoat (Assistant Privacy Commissioner), Dr Nicole Moreham (VUW Associate Professor of Law and authority privacy and media law), Peter Dengate Thrush (barrister and internet law specialist, whom we beamed in via Skype from Washington), Hayden Glass (InternetNZ Council member), and Marcin Betkier (VUW PhD candidate in online privacy). 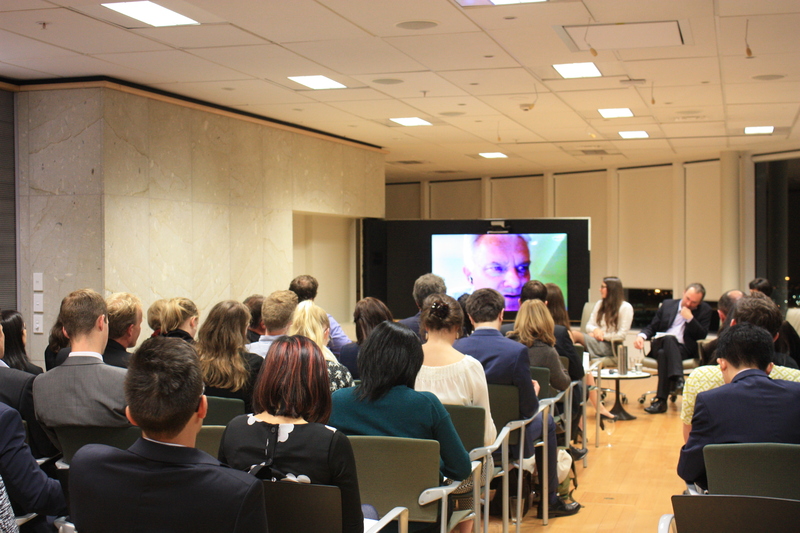 The panellists and audience tackled issues ranging from how advances in cyber- and information-technology have changed information flows, individuals’ ability control their personal data, businesses’ data security and privacy obligations, and the state’s capacity to monitor security and address cyber-crime. We discussed whether privacy laws are adequate or need to be amplified to address imbalances and harms caused by increased information and internet power, and whether we can in the cyber-context draw on traditional principles of the rule of law to achieve this. On the 800th anniversary of the Magna Carta we also acknowledged the importance of the rule of law in the unruly world of cyber, and critically looked at how useful the original principles are to us today. We also discussed the issue of international governance of the internet, and what stage we are at today with states engaging on the issue of regulating and combating cross-border cyber-crime and abuse of internet power. We look forward to continuing these conversations on other occasions in the future.